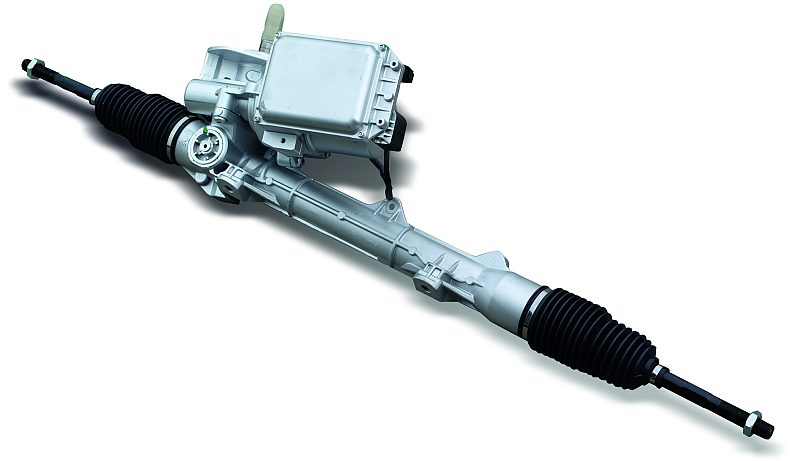 The most common are hydraulic steering racks. The repair of this type of a steering rack is usually the restoration of its full tightness which is connected with sealing replacement. All parts of the steering rack are examined regarding their exhaustion and mechanical damages such as abrasions or cracks. Usually there is a necessity of a very precise grinding process of the surfaces cooperating with the sealings regarding the level of damage or corrosion. Broken bearings also need to be replaced. After the repair process every steering rack undergoes a leakage test. The force which affects a board during its movement in both directions is also tested. 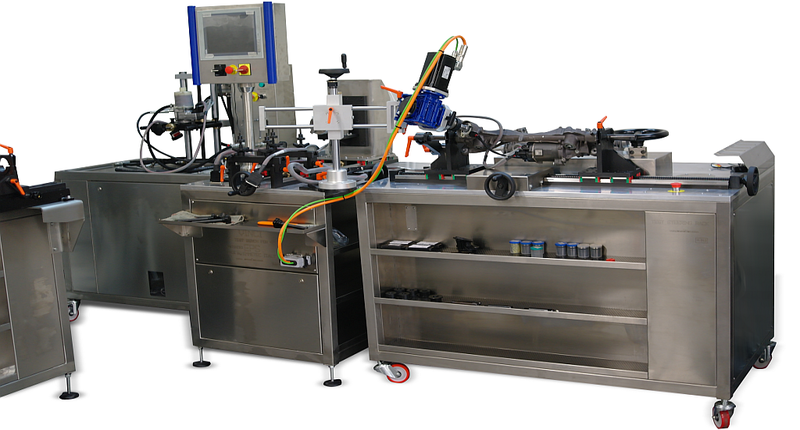 Our work stations are adapted to tests of the mechanical and electrical pumps which are the components of a hydraulic steering rack system. After the detection of parts that are broken, they can be repaired if necessary. The repair of electrical supported steering rack is connected with controlling and mechanical and electrical part replacement. Damage of a steering rack sensor is also very often. Sensor replacement requires precision and specially calibrated devices. Steering rack is designed to transmit the force applied to a steering rack what causes its rotation of a required angle. Most of produced steering racks are equipped with the steering rack system in order to reduce the force necessary to move the wheel. The movement of a steering rack is supported by the high pressured hydraulic liquid which affects its moving parts causing the reduction of power needed for a steering rack rotation. Hydraulic liquid is compressed by the mechanical driven pumps – afterwards it enters the internals of a steering rack through a splitting valve. The movement of a steering rack causes the rotation of a splitting valve which transports hydraulic liquid to the appropriate chamber inside the steering rack. The movement of a steering wheel causes the rotation of the splitting valve which transfers the hydraulic liquid to the appropriate chamber inside a steering rack, so that it could work on the appropriate side of the piston. Newest and more advanced solutions of this type allow for limited changes of the supporting steering system characteristics. 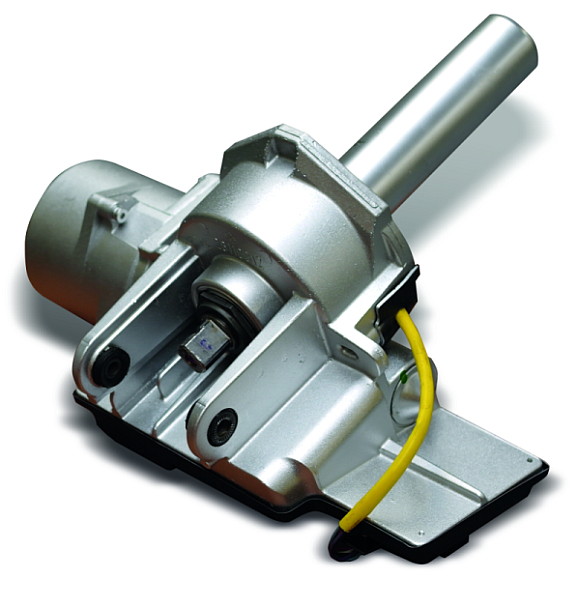 A steering rack movement is supported by the hydraulic oil pressure which is produced by an electrical tooth pump. The advantage of the electrical pump is the possibility of regulation of its rotation speed and the force supporting the steering rack system. Due to the fact that there is no connection with the engine rotational speed of a supporting pump is totally independent from engine’s rotational speed. Such situation allows appropriate fitting of force supporting the steering rack system regarding the speed of a vehicle. The speed of a wheel rotation and rotational engine speed are the additional input parameters. In this case a steering rack movement is supported by working of the electric engine. The engine’s power and its direction are regulated by the sensor according to the detectors signals which define current driving conditions. There is a possibility of fitting the force supporting the wheel rotation to the current driving conditions. 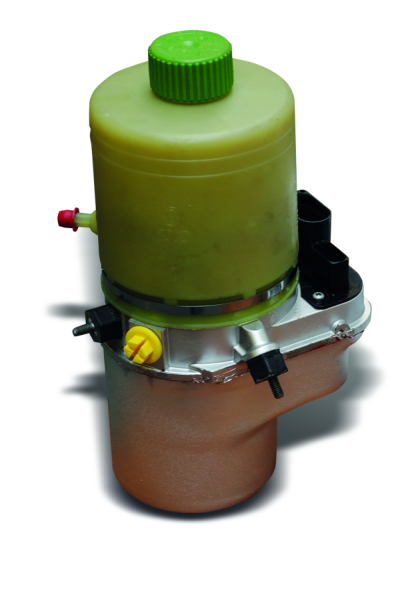 The electric engine can be mounted directly on a steering rack or on a steering column. This type system lacks the hydraulic part therefore it contains less elements. It allows to save the fuel because it doesn’t have continuously driven elements such as e.g. hydraulic pump.